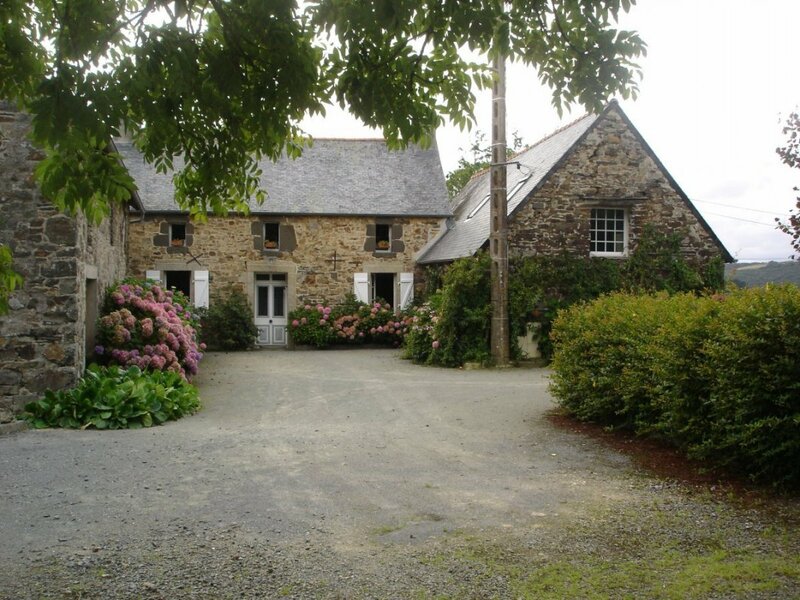 Ferienhaus im Finistère - Bretagne: : Manoir "Le Clos des Hortensias : Semi-detached house in one of the manor's wing, set in large grounds (8500m²) overlooking Ménez-Hom and the tidal river Aulne. Gr.fl: kitchen with fireplace, living room with exposed stonework and open veranda/lounge (30m²), Bedr1: double + single bed, wood-burning stove, balneo shower, WC. Upstairs: double-bedded Bedr2 + 3, twin-bedded Bedr4, balneo bath, WC. Electric heating. Sat-TV, Wi-Fi. Garden, garden furniture, BBQ. Sense of detail, tasteful decoration and high quality materials make the difference! Outstanding surroundings with direct access to the river Aulne. Don't load yourself with baby equipment. All the gites we have chosen supply the equipment needed for the comfort of your baby (cot, high chair or child booster seat, baby bath, change mattress, baby cutlery, baby bottle heater or microwave, stair baby gate for houses with different levels. Walking, cycling and pushing baby buggies? Enjoy the walk or run along the canal from Nantes to Brest. Peaceful surroundings and tranquillity guaranteed at the water's edge.